I'm back with my last layout using the gorgeous Tresors De Luxe lace from Lucy Oh's Etsy Shop . Lucy has decided to have a YouTube design team, and I am not able to do videos at this time. But, stay tuned for the teams gorgeous creations. 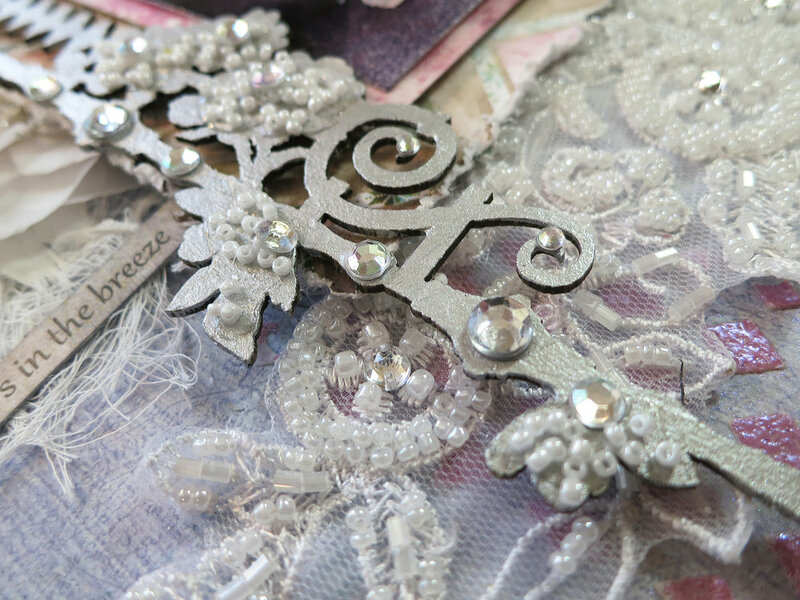 On this layout I used this stunning lace applique piece that is encrusted with pearls, beads, and rhinestones. Oh my goodness you should see it in person! The layout features my GORGEOUS niece Dani Ulstad. She is stunning don't you think. Just look at that beautiful dress. I started by stenciling around the background of the photo and then using embossing powder to give the design some color and dimension. 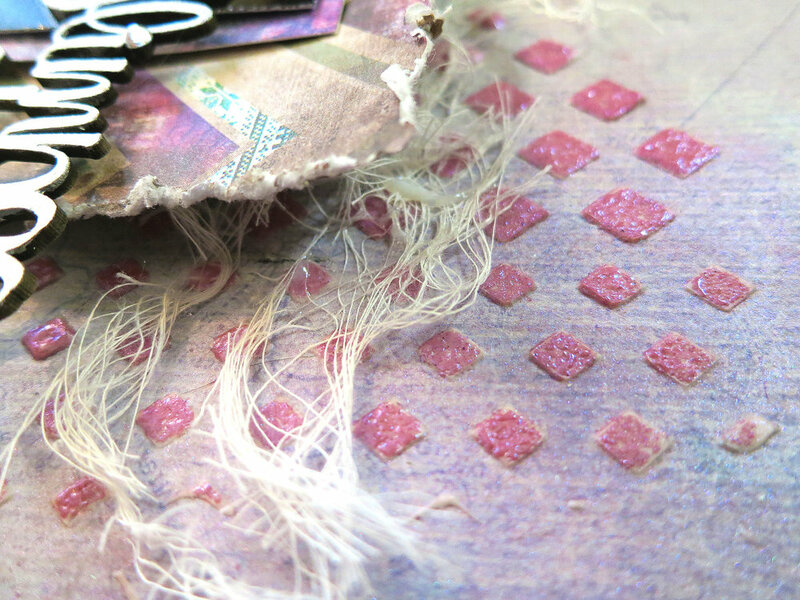 After I created my photo matting, I adhered the gorgeous lace. Trust me this photo does not do it justice. I gathered various flowers from Prima to arrange around the layout. On the right side I used a couple of pieces of the same lace applique that I cut off the ends, and created little stems peeking out of the flower cluster. I adhered some clear seed beads on all the flowers to mimic dew drops. Here is another shot of one of the flower clusters. On the left side of the photo I used a Blue Fern Studio chipboard, which I painted metallic silver, added more seed pearls and rhinstones. I definitely blinged it. Finally I added the chipboard title from 2 Crafty. I love this sentiment! I couldn't resist sharing another view of this stunning lace. 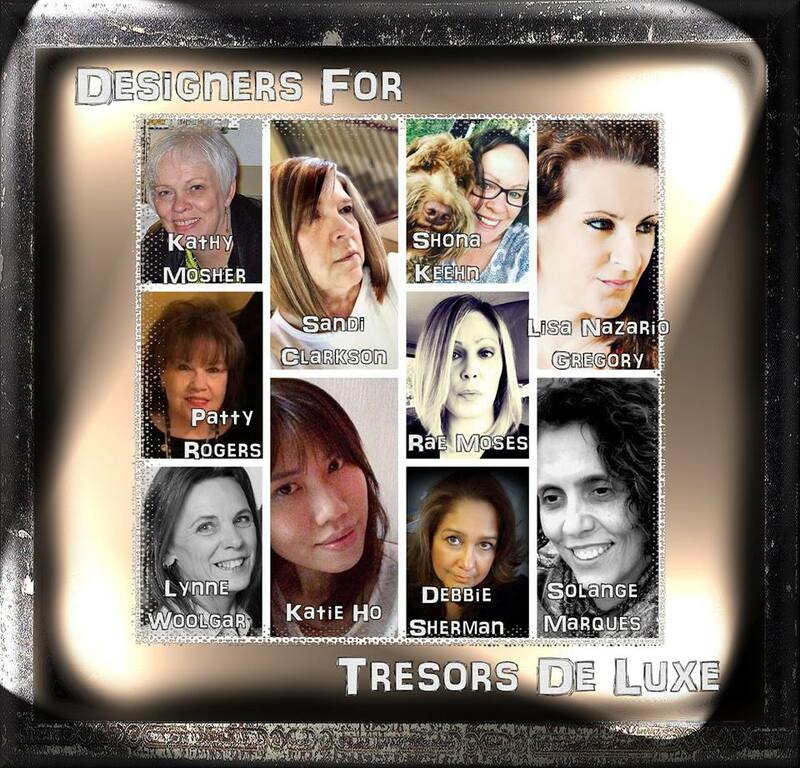 I hope that my layout inspires you to create something beautiful using Tesors De Luxe laces. Have a great day everyone!! !